In the lecture, Dr. Gruenhage will explain why we should expect there to be “undecidable” statements and how we deal with them. He will also give some examples of natural questions in topology that have turned out to be undecidable. The lecture, sponsored jointly by Alumni Affairs and the Graduate School, will be at 3:00 pm on Wednesday, October 3, 2012, in Rouse Life Sciences Building Auditorium (Room 112). He will be honored with a reception in the Rouse Life Sciences Building atrium following the lecture. All students, faculty, and the community are invited to attend. 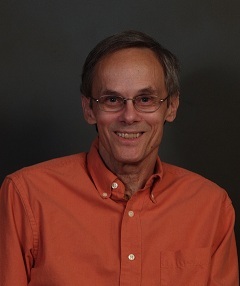 Gary Gruenhage received a Bachelor of Science degree with high distinction from the University of Nebraska in 1969, and obtained his Ph.D. in Mathematics at the University of California at Davis in 1973. His dissertation answered several questions posed by Dr. Philip Zenor of Auburn University and he was hired by Auburn in 1974 as a temporary instructor in the Department of Mathematics. He quickly rose through the ranks, becoming an Assistant Professor in 1976, Associate Professor in 1979, and Full Professor in 1983. He was also an Alumni Professor from 1977 to 1982. Dr. Gruenhage has published over 100 articles in research journals and as book chapters and his work is commonly cited by other leading researchers. He has been supported by grants from the National Science Foundation for most of his career. He is also a frequent invited speaker at major national and international conferences in his field. Dr. Gruenhage’s research area is set-theoretic topology, a melding of set theory and general topology. These two fields are fundamental mathematical disciplines, with common historical roots, and they serve as essential tools in many areas of mathematics. General topology is the study of shapes, from ordinary shapes in real three-dimensional space to much more abstract shapes and structures. Dr. Gruenhage’s work lies within the scope of what has been a fruitful interaction between general topology and set theory, an interaction spurred by dramatic advances in set theory and logic in the last forty years or so and the realization that many long-standing questions in the general topology of abstract spaces rest on complicated set-theoretic combinatorics.